Experts discuss U.S. foreign policy options toward Russia. The Home Box Office What to Do About… series highlights a specific issue and features experts who will put forward competing analyses and policy prescriptions in a mock high-level U.S. government meeting. HAASS: Well, good evening. I’m Richard Haass. And I’d like to welcome all of you to the Council on Foreign Relations. And tonight is the latest in our What to Do About Series. The subject is What to Do About Russia. And this is a series that is focused on essentially a foreign policy challenge. And we look at it in some ways akin to how the National Security Council would look at it, where we begin with analysis and we end up with prescription. We’ll do some of the work up here and then we will open it up to you all. This is all made possible by HBO, for which we are eternally grateful. We’ve got you all in the room, our members here. We’ve also got members around the country and the world, thanks to the wonders of modern technology. It’s about 6:00 here in the east now. We will finish up at 7:15. Let me just very quickly introduce the three people how are going to help us navigate this really important, and timely, and complex subject. When I used to teach at the Kennedy School, I used to sometimes remind my students that foreign policy can be hard. This is a case study in foreign policy being hard, but also important. To my immediate left here is Heidi Crebo-Rediker. Heidi has all sorts of hat. Most important, she’s a senior fellow here at the Council on Foreign Relations. She’s also CEO—and I will do my best to get it right—of International Capital Strategies. And prior to this, she was the first person to hold the position of chief economist at the Department of State. And she also has a background on Capitol Hill. So she is one of these—I think a really wonderful example of what we have in America, the in-and-outer. And I think it’s one of the things that makes the American system special, is that you can do that. To her left is another person of—also an in-and-outer—Ivo Daalder. Ivo now heads up the Chicago Council on Global Affairs. He’s been in that job for about two, two and a half years. And prior to that, Ivo represented the United States at NATO, the North Atlantic Treaty Organization, for more than four years. He also served on the staff of the National Security Council. He’s a widely published author. And Ivo and I used to work together at the Brookings Institution when we were both young. So what we’re going to do is begin with a conversation amongst the four of us. Then we’ll open it up. The timing is good. Just as I was, you know, preparing for this and reading some of the latest, you know, if you look at the price of oil and you look at it denominated in ruble terms, it’s basically at something of a five- or six-year low. We have lots going on in Europe and the Middle East geopolitically. So I don’t think we will—we will lack for things to talk about. Professor Marten, Kimberly, why don’t we start with you for a second, just to say some things about—before we get into the particulars of the policy debate we’ve got to grapple with, how do you see Russia right now? How should we see this country of 140, 145 million people with a shrinking economy? What should we make of it? What should we take of it? MARTEN: Thank you, Richard. Well, I think that we have to keep in mind that there are really two Russias. There is the Russia that feels humiliation and betrayal. It feels that the West did it wrong because of the collapse of the Soviet Union and what has happened over the last 25 years. And there’s no question that President Putin plays on that feeling of that part of Russia. And that helps explain his popularity as his militarism continues. And then, on the other hand, we have the Russia that is truly the Russia of great power status, where we have phenomenal contributions to the arts, and culture, and technology, and science, by brilliant people, and increasingly really good businesspeople. And those are people who don’t want to be isolated from the West. They want to be a partner with the West. They want to have the West pay attention to them, but they—not for the same kind of militaristic reasons that the Putin faction has in mind. And they have been decreasing in their ability to express their views publicly, but we have to remember that they’re there. And so the challenge that the United States faces is that we have to be able to defend our interests, and defend our allies, and deter all kinds of militaristic actions that come from that one part of Russia, while keeping our hand welcoming to the partner Russia that is going to be there long after Putin is gone. And so working that kind of dilemma is what the United States has to do. MARTEN: Well, I’ll answer the second one first. Mr. Putin is mortal and so eventually he will be gone. He will not live eternally, even if he manages to stay in power for another full term as president, which a number of people think is the very likely outcome. So we may be stuck with him for a while. But meanwhile, his particular view of the outside world is, no question, the dominant one. He keeps it dominant by his control of the mainstream media. He doesn’t control media quite the way that China does at this point. If somebody wants to look, they can find other perspectives in Russian language media. But people don’t tend to look. So mainstream television, the mainstream Internet gives Putin’s point of view on the world. And he also has the ability to control things because he controls the former KGB, now the FSB. And those people can destroy anybody they want to destroy. They can destroy a career. They can destroy a life. And everybody knows that. And that means that even if there are people who are eager for there to be change in Russia, because they believe that Russia is not following Russian national interests under Putin’s leadership, they recognize that there’s not much that they can do about it. And there’s this feeling of hopelessness. And so one of the things that we have to do as the United States is try to figure out how can we give a sense of hope to people who are looking within Russia at what’s happening and saying things are going in a direction that they don’t like? HAASS: I want to hold off a bit before I get to what we should try to do or not do. So, Heidi, let me turn to you for a second, just to give the economic take. The numbers are quite stark in terms of the shrinkage of the economy. It’s still a heavy-concentrated—what we used to call a cash-crop economy, the cash crop being oil and gas. Why don’t you give us your take on the reality? How bad is it? CREBO-REDIKER: So I think—I think the Russian economy is in trouble. And one of the reasons that it is in trouble, and I have a long-term pessimistic view, is that you have—you had the grinding down of growth before you had dropping commodity prices and the sanctions layered in. So you already had a pretty steep decline. There’s an overreliance, as Richard mentioned, on commodities. So oil and gas, about 50 percent of the budget, two-thirds of exports. Very, very highly reliant on commodities. Whereas for years, and this is really for years, it’s been an ambition to try and diversify the economy. And I think there have been stages in Russia’s development where we’ve seen some diversification, but right now we have an outlook where poverty levels are rising, particularly outside of Russia and St. Petersburg. So it’s a very big country. HAASS: Outside of Moscow, you mean. CREBO-REDIKER: I’m sorry, outside of Moscow and St. Petersburg. So I spent a lot of time working in the Russian far-east and living there. And so my perspective is often more from outside of the big cities. And poverty rates are going up. Standard of living is going down. Incomes are going down. Inflation was coming down, but on the back of the sanctions on Turkey you’re probably going to see it come up again. And so those are sort of the immediate issues. Long-term demographic issues are going to start to kick in. You have some big challenges, I think. And where the biggest—my biggest fear is that they have an immensely talented population, and they’re moving out. So in a—in a global economy where—a very competitive global economy where you need talent and you need innovators and you need expertise and you need high tech, they are all, you know, moving out right now. And so the numbers that I’ve seen, about 200,000 this past year, of really, you know, I think some of the elite of Russia that are coming, you know, to Silicon Valley, and Cambridge, and London, and other places. CREBO-REDIKER: Yeah. It’s going to have an impact on foreign policy eventually. HAASS: What is the price of oil that the Russians plug into their budget calculations, that they think they need? And more broadly, the International Energy Agency just came out with a long-term assessment, many other have concluded, that essentially low oil prices are here to stay for the foreseeable future, and then some, for lots of structural reasons, from reduced supply and far greater supply because of new technologies and the like. Where are the Russians in terms of their assumptions now? CREBO-REDIKER: So the new—the most recent budget that just went through the Duma, I think last night, was the budget’s at $50 a barrel. So they’re anticipating a much—a much lower price. And the challenge, and I think even the central bank governor has been—has been vocal about the fact that they need a new growth model that reflects a new reality in oil prices. HAASS: But in the meantime, with the poverty, with the shrinkage of the economy—I guess people are voting with their feet. But to the extent people vote other ways and we see polls, so far, at least, Mr. Putin’s popularity seems fairly robust, if not stratospheric. CREBO-REDIKER: So I also think that Russians are very resilient. I think that over time there will be—there will be some price to pay, because one of—one of the bargains was I will give you growth and a better standard of living, but there are—there are rollbacks and there are prices—there are prices to pay. I don’t think that the prices to pay have really been that big of an—you know, if an issue for a lot of Russians. But I do think when you start having hits to pensions, when investment that doesn’t get made starts to—starts to really show, and living standards really start to decrease, that you’re going to see some reaction. HAASS: Before we turn to Ivo on the threat that Russia poses, I’m sorry, one last question of Professor Marten then. To what extent does Mr. Putin specifically turn do you believe—and, Ivo, I’d like to hear you on this as well—to foreign policy as a valve, as something of a way to compensate for the lack of economic return and political openness. This is a way to satisfy, shall we say, national longings? MARTEN: I think you’re right. And there’s no question that his populism gets expressed through this militaristic foreign policy of showing the United States that they’re not going to take it anymore. And the best sign of that was his complete ignoring of the truckers’ protest that has been galvanizing that community in Russia over the past several weeks. They managed to shut down the Moscow ring road for several hours one day last week. And yet, it didn’t, again, get expressed in the mainstream press, even though if you read some of the other Russian language press you could learn about it. If enough of that sense of unhappiness by ordinary people in outlying areas becomes strong enough, and that FSB can’t control it, that is one thing that could lead to a turnover in the top leadership. HAASS: But before that, but to what extent do we think that—and this is probably a natural segue to Ivo then, that what he has done over the last, what, year or 18 months in Ukraine, Crimea, what he’s more recently been doing in the Middle East, to what extent do we think a more assertive Russian foreign policy is motivated by a kind of let’s distract attention away from the home front? DAALDER: Well, I think clearly that is a, if the, motivating factor. I mean, I would describe Russia as a declining power, for all the reasons that we heard here. For 25 years, the bargain was internally to—the bargain was, as Heidi said, to provide for the economic growth in the society. It hasn’t come. The modernization that was necessary hasn’t been instituted. And as oil prices fell and sanctions have now been imposed, the economic consequences of the 25 years of mismanagement of the economy, of a reliance—an overreliance on oil and gas where, as you rightly said, the prices are not only down but they’re going to stay down for quite a while—leads you to wonder where you’re going to get your political power from. And it’s going to come from nationalism. It’s a traditional way in which declining powers act. And there’s no surprise that he’s acting in this way. Whether it will work is, of course, the big issue. But clearly, Ukraine had very little to do with either Ukraine, or the West, or anything else. It had everything to do with what’s happening in Moscow, and a declining power, and a need by the president of Russia to find a valve for the unhappiness of its population. And nationalism became the way to do that. HAASS: And given that, and more broadly given the capability of Russian forces, given what we’ve seen in Ukraine, to what extent should we see Russia as a threat, either because of its objective capability or because of what we also see as a greater willingness to use whatever capabilities they have? DAALDER: I think the Russian military has for the last 10 years invested quite a bit in modernizing its capabilities. So it is—it has a more capable military than it did 10 years ago. DAALDER: Exactly—well, no. So it is a—it is a more capable, a more modernized military. But it’s a very modest military by standards, certainly, of the United States, or even the standards of the West in general. It has certain capabilities. We are seeing that displayed in certain ways, particularly in Syria, a little less so in Ukraine, in part because it’s hidden. But it is—it is a capability that will—you can deploy aircraft into Syria and bomb certain targets. Can you actually fight a war against a well-armed adversary like the United States? That is a question that is still out there. The difference is, he’s willing to use force. He’s demonstrated he’s willing to use force. He is seemingly not deterred by anything that other people might be willing and capable of doing. And as a result, he is dominating, at least in the short-run, the battlefield. HAASS: But is he at all deterred, or might he be deterred by the economic or human costs of using force? Is that something that could come back, if you will, to haunt him somewhat politically at all? DAALDER: I think we’ve had a debate among the Russian experts to the extent to which casualties in particular—because we know that casualties were very important when it came to Afghanistan—the extent to which casualties in particular would be a deterring effect on him. One of the reasons why he was hiding the Russian presence in Ukraine, and has denied that there was—continues to deny the Russian presence in Ukraine, was by the belief that casualties is something that he can’t sustain. In Syria, he has sustained casualties. And he has done so openly. Not only when the Turks shot down the airplane, but before they had a number of casualties. And they were recognized as casualties in a way that soldiers and infantrymen who were—who died in Ukraine were not recognized. They were buried in the middle of the night without any recognition that they had suffered the casualties in this conflict. But that points at least to some extent that there is a limit to the degree to which you can use this valve of foreign expansion and foreign military adventurism as a means to distract attention from your local problems. HAASS: I want to turn to the two principle arenas of Russian activism, one being Ukraine the other being the Middle East. And then I want to turn—and then after we discuss that for a minute, I want to talk about the tools that we’ve used, or might use. In terms of Ukraine, if I had to sort of encapsulate what seems to be the conventional wisdom these days, is that Russians have zero intention of changing anything with Crimea, but they slightly dialed down the temperature in eastern Ukraine. Is that a fair description, or is that missing—is that missing—is that missing things? Kimberly. MARTEN: They’ve been dialing it back up in the last few weeks. And so I think it’s an open question what Putin intends to do. Putin loves pulling surprises. And it was very interesting that he didn’t mention Ukraine and he didn’t mention Crimea in a major speech that he gave on the state of the nation last week. And there have been Russian analysts who have said, oh, it’s because he’s losing in Ukraine. And there have been other Russian analysts, inside Russia, who have said, no, it’s because he’s accomplished what he wanted to in Ukraine so he has nothing left to say. I think the truth is, he’s probably planning some sort of a surprise in Ukraine, and we just have to wait and see what it is. And the surprise could be negotiation and some form of negotiated settlement in order to get the sanctions lifted and to get Western attention back in a positive direction in Russia. Or, it could be the intention to ramp things up and to really make Ukraine suffer. HAASS: But, putting on my national security advisor hat, that’s not very helpful. HAASS: So I want to know, what are you betting on? Are you betting that he has basically decided he doesn’t want to dial up in Ukraine because right now he’s got what he wants there, or he’s more concerned with the Middle East? That essentially his attention has pivoted, or? I mean, at some point we got to make a bet about what he—what we’re seeing and what we’re likely to see. So what is your bet? MARTEN: My bet for the last year and a half hasn’t really changed, which is that he will continue to have low-level conflict in eastern Ukraine without expanding it very much. He has a very strong incentive to try to keep Ukraine weak, to try to make it seem as though the Ukrainian government has failed, to try to keep the fact of there being rebels in eastern Ukraine something that is still on people’s agenda. But as Ivo said, what the evidence indicates is that he really doesn’t have the strength right now to try to fight two major wars simultaneously. And at the moment, you know, Western attention on Ukraine is sort of at a low point. He’s told people in this—in this speech that he gave last week that we should expect sanctions to endure for the foreseeable future. So nobody is thinking that sanctions policy is going to change. But keeping things sort of unstable but not really dangerous is something that probably serves his interests. So if I had to place a bet, that’s what I’d bet. HAASS: Do you agree with that, Ivo? DAALDER: Yeah. I think his number-one priority is to maintain the initiative, and in order to make sure that the domestic situation remains one where people will support him. His number-two priority is to make sure that Ukraine does not succeed as a Western state. That’s why he went into Ukraine. He couldn’t allow it to succeed. And he will dial up the tension on Ukraine if he believes that the reform that has taken place in Ukraine actually starts to succeed. And so I think that’s what I would look for to see whether or not that is succeeding. Number three, I think he is trying to find a way to get out of sanctions. And the Middle East move is fundamentally trying to make the case not only to maintain his presence in Syria, which is important in the long term, but making the case that the West needs him. And therefore, why don’t you give up on sanctions with regard to Ukraine so that—so that we can move forward? HAASS: I just want to push, if I can—push Heidi on the sanctions, which is: Is it too soon, or is it—do we have enough transparency to have a sense about what the impact of these sanctions have been on Russia, how significant they are? CREBO-REDIKER: Yeah. I think, you know, there’s a huge debate out there about whether or not the sanctions are actually effective or not. My—you know, my first reaction is if they were so ineffective why would Putin jump to use them in Turkey? But the reality is, we didn’t use—we didn’t escalate the sanctions tool very much. And there has been an impact, particularly in the ability to access markets and for companies and banks to refinance. So think, you know, what we did see is very minimal escalation in terms of the very scalpel-like, you know, Treasury and State Department-led sanctions policy that was put in place. And I think it was very thoughtful. It was done extremely reluctantly. It was done together with European partners in lockstep. And that was a diplomatic feat in and of itself. But in terms of whether they’ve been effective, I would say, you know, the central bank has plowed through a significant amount of reserves trying to assist Russian banks and companies to help them finance and recapitalize them on the back of a number of different things. HAASS: But they still have a couple hundred billion dollars’ worth of reserves left. MARTEN: Yeah, just a couple of thoughts on sanctions. The sanctions that Putin has put in place have been on goods. We have not put sanctions against Russia on goods. The reason that that matters is that we know from the experience of Saddam Hussein and other dictators that it’s often in the interests of authoritarian leaders to put sanctions on goods that are being imported because it allows their inner network to engage in smuggling that is against the law. And it actually gives another economic boost to their inner network. The second thing to keep in mind about the sanctions is that they give Putin an excuse for what the economy looks like right now. The evidence indicates that the biggest impact on the Russian economy has come from the collapse of oil prices, which is completely unrelated to the sanctions. But he can point to the sanctions and say, see, look how terribly the West is treating you. It’s the West’s fault that the economy is in the current state that it’s in. And so we have to be strong against the terrible West that is once again betraying us. CREBO-REDIKER: Just one last point on sanctions. As a signal, as well as, you know, how we have effective behavior, I think both of those are very important to keep in mind when you’re thinking why do we actually put these sanctions in place? We responded to military with economic tools. And those tools have been effective, and they were limited. But how were they—how were they effective? It wasn’t just hitting various parts of the immediate circle of friends and family of President Putin. It was financial institutions. It was also behavior, I believe, in Ukraine in terms of where the line was drawn in terms of whether or not there were going to be further military moves. HAASS: OK, so let’s just look at Ukraine for a few minutes in isolation, then I want to look at it in the larger context of what also is going on, and look it more broadly in Europe. So the questions are still what’s going on in Ukraine something we can live with, at this level of boil? Should we be doing more to help Ukraine economically or militarily? What other things might we be doing in Europe in terms of NATO? I mean, essentially, to what extent ought we to stay the course with where we are at the whole Ukraine-Russia standoff, and to what extent ought we be introducing new elements to our policy now? Ivo, why don’t we start with you? HAASS: The definition of success being? DAALDER: So it cannot—the status quo is success on Russia’s part. It has fundamentally violated a core tenet of the European security order, which is you don’t change borders by force. It hasn’t been done since 1945. It was central to the bargain of 1975 on the Helsinki Final Act. It was central to the recognition at the end of the Cold War and the Paris Charter that led to the creation of the Organization for Security and Cooperation in Europe. And it was central to the denuclearization of Ukraine in the 1994 Budapest Memorandum signed by the United States, Great Britain, Russia, and Ukraine. In return for giving up its nuclear weapons, the United States, Britain, and Russia recognized the borders of Ukraine as it was. Those have been violated. So number one, we need to come to a situation where that violation is in one way or another reversed, preferably through a diplomatic process. DAALDER: So the economic and political success of Ukraine, it’s fundamental transformation, is a key interest for the United States. DAALDER: It doesn’t—so I will leave the issue of EU or NATO membership for the Ukrainians to decide. HAASS: To decide? Is that the decision? DAALDER: To decide whether they want to seek it. It is then for NATO and the European Union to decide whether they will let them. I don’t think it is necessarily about NATO or EU membership. It is necessarily about Ukraine deciding that it reforms its economic and political system to enable it to become like, say, Poland. I think NATO membership and EU membership facilitates that, as it did with Poland. But that’s a decision not for today, but for down the road. HAASS: What about arming Ukraine in the short run? What’s your—this is something the administration has kicked around for several years. DAALDER: I am—you know, I’m on the record, and have been for a long time, that I think the provision of defensive lethal equipment to Ukraine is important. I believe this is a country that has been attacked. It doesn’t have a NATO guarantee. It’s not a member of NATO. It does have an Article 51 of the U.N. Charter, right for not only individual but collective self-defense. And as a country that has been attacked, it should have the arms to defend itself. And particularly if we in the United States or NATO countries are not willing to defend Ukraine, a decision with which I don’t have a problem, preventing them—imposing in de facto an arms embargo on Ukraine when they want to buy the weapons in order to defend themselves, I think is the wrong policy. HAASS: Professor Marten, if we were to provide what we would describe as defensive arms to Ukraine, what do you think the Russian reaction would be? MARTEN: Well, I’m on the record as opposing sending lethal military assistance to Ukraine, even though I very strongly support the institutional assistance that we’re giving in reforming the Ukrainian military, especially because when I was there in May I heard from a lot of people who are involved in the fighting that the real problem that Ukraine faces is an absence of good quality command and control that’s coming from the military officers at the top of the Ukrainian military. And what they all said is that it’s not about the technology of command and control. It’s about the psychology of the commanders. It’s about the ability to communicate and to have an understanding of what’s actually going on in the field. I’m also against the sending of lethal weapons to Ukraine because Ukraine is already awash in weapons and Ukraine is also awash in militias that are not really under government control. And if at some point—we already saw this a little bit in September—but if at some point the reformists really manage to get traction in Ukraine and to move the country in a new direction, some of those militias are associated with large enterprises in Ukraine that have a very strong interest in not having the Ukrainian economy become transparent. And they have a very strong interest in using those weapons against the government in Kiev. In terms of what Russian would do, I think, you know, in a sense, the argument that we’ve heard a lot is that it doesn’t really matter what we do, Russia will do what it wants to do anyway. I think there is a problem with the U.S. publicly supplying weapons to Ukraine, which is that if the U.S. publicly supplies lethal assistance to the Ukrainian forces what Putin will say is, see? What I’ve been telling you all along was correct. This really isn’t about a Ukrainian civil war. This is really about the United States trying to encroach on Russian borders. And at that point, his major problem with casualties disappears. At this point, Ivo and others are absolutely right, that there is this very strong sense that Russian boys shouldn’t be sent to die in Ukraine. And so it’s being kept private. But if Putin can make a case that what’s actually happening is that the U.S. is threatening Russian borders by trying to have Ukraine be a launching point for attack on Russia, his casualties problems disappear. And at that point, he can be very public and say, yes, I couldn’t tell you before, but our boys have been fighting and dying all along. And it’s time to mobilize ourselves against the United States, which is now trying to destroy Russia. HAASS: Can I just do a follow up on that, because I’m glad to have this opportunity. If Putin were to be faced with such a situation, are there any constraints on his decision making? In the old days, say during the Cuban missile crisis, there’s been endless studies that the Soviet leadership of the time was actually quite institutionally constrained, with the Politburo and so forth, and others. 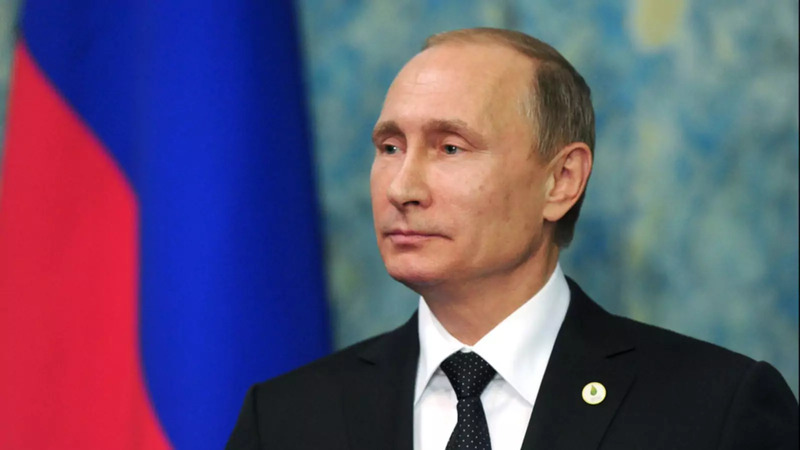 The question is now, whether the degree of personal leadership of Mr. Putin is such that he is actually under fewer institutional constraints than his predecessors were in the old Soviet system? What is your take on that? MARTEN: I think that’s absolutely true, although the more that we are delving into Soviet history, the more we get an understanding that the institutions we really always kind of a little bit of a sham. They had some impact on things, but in fact that personal network connections always explained a lot of what was happening throughout the Soviet period, starting with the Stalin era, and certainly continuing into the Khrushchev era and beyond as well. But you’re right that there are fewer institutional constraints. One thing that’s very disturbing is that Putin has put a lot of his old friends from the KGB and the FSB into leadership positions, into a reconsolidated defense industrial sector in Russia, which means that they have a very strong interest in Putin producing more and more weapons. When we hear about the S-300 going to Iran, the S-400 that’s going to be deployed in Syria, the Buk missile that shot down that plane—the Malaysian plane over eastern Ukraine, keep in mind that all of those weapons are manufactured by the Almaz-Antey corporation, which has a lot of Putin’s close friends at the top. And that means that every time a contract is signed, they can take their little bit, or sometimes more than a little bit, off the top of that contract. So there certainly are constraints. I mean, the Russian budget is not limitless. We’ve seen with the truckers’ protest that at some point popular unhappiness might rise up against spending too much on defense industry. And I also think we have to keep in mind that Ukraine and Russia have always had a relationship that doesn’t really make them different countries, to some extent. So that if you start saying that Russians are supposed to be killing Ukrainians, that creates a psychological problem for Russia. And that would be a constraint on him. But the institutional constraint is not what it was. HAASS: Heidi, you want to weigh in, and then Ivo, and then I want to do one last pivot. CREBO-REDIKER: So I would—I would very much agree with the case that it is absolutely the creation of a success story in Ukraine so that it 10 years from now is a Poland. And a great deal of that comes down to their ability to reform their economy. And a great deal of the reform of the economy comes down to the Ukrainians. So we’re talking a lot about Russia, talking about a lot of different parties. But right now, there’s actually, you know, as we speak, a battle going on so that the next tranche of their IMF program can come through, and the potential for, you know, a political reshuffle right now on the back of questions around this economic reform. Corruption is really hard to tackle to Ukraine. There is—you know, it is—it is from top to bottom one of the most corrupt places on the planet. It has been challenged with corruption and rule of law for a very long time. And so there are so many different interests that stand to lose. However, that is one of—one of the things that the protests at the Maidan were actually going after in the first place. So the population in Ukraine has actually paid a pretty significant price based on the reforms that Ukraine’s already done. But what they’re not seeing is the price to be paid for many of the elites that have been corrupt. And that’s something that puts their IMF program, and then every other bit of funding that’s linked to their IMF program, at risk right now. And that’s actually one of the reasons the vice president is there with a we stand by you but here’s a tough love message. You really need to do what you have to do to get your own economy right. We can’t—we’ll be there for you, but we can’t do it for you. HAASS: All right. Want to say something on this? DAALDER: Yeah. So I agree with that. And the success of Ukraine is about the economic change and reform, and the end of corruption, and the political process that needs to happen. And that’s the battle, because that’s what Russia wants to prevent. And that’s why, in fact, providing defensive capabilities to Ukraine is important. It is important to the success of Ukraine being able to make the change in order—it needs to do economically, in order to raise the costs to Russia of putting on the pressure and undermining the capacity of the Ukrainian system to succeed. So the two—the two are in fact linked. The capacity of Ukraine to defend itself as Russia tries to escalate—as that goes up, your capacity to reform and continue the process of political and economic reform is more likely to succeed. HAASS: Let me spend the last few minutes before we open it up on Syria. Russia has now clearly invested fairly heavily on strengthening the current regime with Bashar al-Assad. I guess the question is whether that is an independent or dependent variable. And it would seem to me it’s obviously in our interests to make it something that we can change with time. So the issue is, what, if anything, can we put on the table to get Russia to do—both to do, certainly, to make sure that the bulk of its targeting is on ISIS rather than other groups, and to think about supporting a political transition in Damascus, and maybe evening offering a dacha to Mr. al-Assad outside of Moscow. Are there things that you believe we could—we could potentially offer to the Russians that would make them feel that their core interests, however they define them, would be protected under a scenario under which Mr. Assad would not be in power much longer. Is that—is that in the realm of the achievable, because it’s obviously in our interest that that were the case? DAALDER: So my view is on—that if you think Ukraine is hard, try this one, right? (Laughter.) In part, because, it seems to me, Russia—the Russian action is both a dependent and an independent variable. The independent variable is the fact that Russia wants to maintain a military foothold in this region. It has had a military foothold. We forget that but it’s true. They’ve had a naval base in Syria for a long time. But they now have a physical military foothold in Syria. That, they want to maintain no matter who is the president of Syria. And that, in some ways—if that can be guaranteed, the fate of Assad becomes less central to what they’re trying to achieve. It is a dependent variable in the sense that if you can demonstrate to the West, to the United States in particular, that you are an ally in the fight against ISIS, you may be able to—and not only the United States, the French and the Germans, you may be able to change the equation in Europe. And I think he has tried to do both at the same time. HAASS: I’m actually not sure I agree with that. I think actually—I think that’s a bridge too far. One could also think about an alternative governing structure that was still Alawite-dominated, but not Mr. Assad-dominated. DAALDER: And that—so you may be able to get to that point. Are we able to play these games with Russia playing its presence as both an independent and a dependent variable? That’s the big question. DAALDER: I think in some ways we are trying. I mean, I think that’s what we’re doing in Vienna, it’s what we’re going to do in New York in a couple of weeks, or in a week. HAASS: And why not then give Mr. Putin standing in the Middle East? Why not basically make it clear we’re not against him keeping their naval access? Why not concede—I’m just putting it on the—not saying advocating—are there any circumstances under which we would change any of our policy in Ukraine in order to get what we want against ISIS? I mean, at some point, foreign policy is about priorities. Are there any circumstances under which we need to think that way? HAASS: Is that a package you can contemplate? DAALDER: Well, I think sanctions are linked to a political process, which is the solution of the Ukrainian problem, minus Crimea. There are separate sanctions for Crimea. And if we can have that political process implemented, the Minsk Agreement in full, then I think we are all agreed that sanctions can be lifted. But it’s that political process that determines that, not what happens in Syria. HAASS: So you don’t want to have linkage in that sense? DAALDER: I don’t want to have linkage in that particular sense. MARTEN: Yeah. There’s an organization called the Institute for the Study of War, based in Washington, that keeps track of where all the airstrikes have been happening in Syria over the weeks. And the last weekly report that they had, that came out a few days ago, indicated that absolutely nothing has really changed in Russia’s approach to airstrikes in Syria. It wasn’t enough that the airplane in Egypt was bombed out of the skies, apparently by the Islamic State. What we see instead is that Russia is concentrating its airstrikes against the rebel groups that are fundamentally the most challenging to Assad, either in the southwestern part of Syria where they are targeting groups that are funded and supported probably by Jordan, and in the northwest part of Syria, where they are targeting groups that are funded and supported by Turkey. And so if the fact that a Russian plane was, you know, bombed out of the sky by the Islamic State is not enough to turn the predominance of Russian strikes towards the Islamic State in Syria, I don’t think there’s anything we can do to make it happen. HAASS: Want to weigh in on this? CREBO-REDIKER: So I think that where the rubber hits the road is that we’re working with a number of partners in Europe that are looking at life a little bit differently. And so, you know, I do believe that in terms of not linking that we will continue to have side-by-side steps with the Europeans on maintaining sanctions, especially because Chancellor Merkel has really staked a lot on the implementation of Minsk in order to get relief from sanctions. So I think, you know, that is one thing that—when you’re sitting in New York it’s a little bit easier to have these discussions. If you’re sitting in Germany, with refugees flooding in, it’s a different perspective. HAASS: OK. I want to bring—I’m going to expand the NSC at this point, and open it up to our members on the floor. And then we’ll come back here for the last few minutes. So raise your hand. We’ll get a microphone to you. Make your questions or your comments. Please keep it relatively brief. Evelyn, up front. Q: Evelyn Leopold, journalist at the United Nations. On Ukraine, what do you think—if negotiations really continue or step up, do you think Russia is thinking of a Moldova solution, or a Republika Srpska one? HAASS: Why don’t you in your answer make clear—take 30 seconds to define what that choice might suggest, for those of us who are not real aficionados. DAALDER: So, a Moldova solution, I take it, has Russian peacekeepers on the territory of Ukraine. And Republika Srpska is a negotiated settlement that has been agreed to all sides, but not maybe fully implemented by all sides. DAALDER: So I think they would love to have a Moldova solution. And our goal is to get to a Ukrainian solution, which is to say I think the only acceptable resolution is the one that is in the Minsk Agreement, which is that Ukraine controls the borders with Russia. That is the final step of Minsk. I think the administration has worked exceedingly hard to get the European Union to agree on the full implementation of Minsk, including the restitution of the border control by Ukraine as the condition for lifting sanctions. And that ought to be the conditions for lifting sanctions. Frankly, I don’t think that’s likely, because I don’t think the Russians will accept a Republika Srpska, if that’s the right analogy, solution, which is some kind of autonomous, independent entity that is part of a full-sovereign, recognized Ukraine, because Russia’s goal is to make sure that Ukraine is destabilized sufficiently that it doesn’t turn West. And that is the most important thing that has motivated its policy since February of 2014. MARTEN: And can I just add, we have to keep in mind that the reason we’ve had the level of European unity on sanctions, in spite of the fact that the European economy and some European sectors are being harmed by the lack of business with Russia, is the fact that Russian-backed actors shot down that Malaysian airplane that had over 100 Dutch citizens onboard. And Holland—the Netherlands are one of the greatest trade partners of Russia. And the Netherlands is not going to give in until Russia takes responsibility for that. And you know, that is another part—not directly the sanctions, but another part of the European unhappiness. HAASS: Yes, sir. On the second row. Joel. My question is about the state of the Russian and Iranian relationship. So we know there’s arms cooperation. But Iran and Russia, potentially energy competitors for supplying to Europe. And then, their interests are aligned, but not necessarily identical, in Syria. So what are your thoughts? HAASS: Do you want to take—I’ll weigh in at the end, but go ahead. DAALDER: So, I—you know, one of the interesting things is that during the entire time we had a growing confrontation—not military, but political and economic—between the United States—between the West, really, and Russia, the four most important Western powers sat down with Russia and China to negotiate a remarkable deal on Iran. And nothing that happened in the Ukrainian theater, or for that matter what’s happening in the Syrian theater, has so far affected the capacity of those six countries, if you include China, to have that—have that negotiation. I think what the Russians would like from Iran—they’re a little wary about Iranians. They’re a potential competitor, I think in the way you put it, both with their influence in the Middle East and, importantly, on the energy market. But they’re trying to co-opt them. And they’re trying to co-opt them in the bigger game that is Russia against the United States, Russia against the West. By the way, that confrontation is one way in which Russia demonstrates that it is a great power. It’s by us taking them seriously as a great power that they can go back home and say, we are still a—we are still an important power, because people are paying attention to us. The worst thing you can do to Putin is not to pay attention to him. It is what is driving him as part of his motivation. HAASS: Can I just follow up on that, because Kimberly began actually the whole session just talking about the Russian sense of resentment and humiliation, I forget what words you used, over the history of the last few decades. Is there anything—we haven’t talked, really, about process or modalities, we’ve talked about policy. Is there anything we’re not doing in the way of showing Russia, respect, playing into Putin’s concern for status and standing, that we could do that wouldn’t really cost us anything, but might buy us something? MARTEN: I think we have been doing things more recently that are a very good step, that we weren’t doing early on in the Ukraine crisis, which is keeping channels of communication open. And so, for example, just about six weeks ago there was a major agreement reached between the coast guards of the various countries in the Arctic about cooperation on issues that are not security-related, but that are, you know, search and rescue, and the kinds of things that coast guards do that are not directly related to security. Early on, after Ukraine happened, we cut off all military-to-military contact, except at the very highest level. And a lot of military officers in the United States were unhappy about that. And now that seems to be being restored. And I think that’s a very good thing. HAASS: What about more—I mean, that’s pretty technical. What about—I mean, U.S.-Russian relations are not going to be moved by coast guard contacts. They’re going to move by contacts between an extremely senior American and Mr. Putin. And the question is whether there’s any scope for something more along those lines. MARTEN: I don’t think that Mr. Obama necessarily has the ability to do it, because Mr. Putin has said several times publicly that he thinks that Obama is a weak leader who can’t control his own country, and therefore is not worth negotiating with. And I know that some people have criticized President Obama for not playing a more public role in what is happening with the Ukrainian negotiations. I think they’re actually more likely to succeed if Obama stays out, because I think that Putin cannot ever be seen as giving in and compromising to Obama. And so I’m not sure that over the next year and a half there’s much that the United States can do in that regard. HAASS: Robin. I’ll get someone towards the back next. I apologize. Q: Hi, Robin Hessman, documentary filmmaker. I’d like to return to what Kimberly said in the beginning about life potentially past Putin, he’s not immortal, and the partners that we have in the country. While he isn’t immortal, too many people, surprise, the generation coming up is not as pro-Western as, say, the Perestroika generation. And they are much, much more patriotic, having had a lot of great television propaganda and a different kind of education in school. And the partners who are so Western-oriented, as Heidi mentioned, are leaving in droves. I know people who for 20 years have stuck it out and are now moving. So what are things that we can do, I guess in terms of soft power, with more limited opportunities, considering NGOs being shut down, foreign agent laws, the Internet kill switch perhaps being rehearsed, and other elements? MARTEN: I think the answer is, there’s not much we can do. Soft power is not going to make much of a difference. Hard power is not going to make things any better. We just have to wait it out and, as I said at the beginning, defend our interests, deter the militaristic side of Russia from doing things that would harm us, including by really building up our NATO defenses much more than they have been. I’m sure that Ivo would agree with me that even though the Russian military may not be capable of waging a full-scale war against NATO and wining, what they can do is increasingly deny NATO having easy access to coastal areas and to small pits of territory, which would just make it very expensive for NATO in both terms of monetary things, in terms of lives, in terms of keeping the agreement of the alliance going. There’s an outstanding article in the latest issue of Survival Magazine, the London International Institute for Security Studies—Strategic Studies talking about that. And so we need to do much more on concentrating defending and deterring, even though we’re keeping communication open. CREBO-REDIKER: Just on the soft power side, though, I mean, what I find really tragic is the lack—there’s been a lack of even interest in the U.S. to study Russia and to go and stay—you know, go to school there. And the exchanges are getting more sparse. And I think that that—if you’re looking forward to another generation that is listening to, you know, a whole different set of information than we’re seeing over here, then that is one of those—that’s part of the web you really need to, you know, making sure stays in place. And I don’t see it—I don’t see it there. So I would be very encouraging of pushing as much as possible educational exchanges, but all of the soft power parts that don’t touch on any of the sensitive—the sensitive parts of the presidency in Russia right now. MARTEN: And inviting Russians to come here, so that they get a real view of what the United States is, rather than what the textbooks and the media are telling them. HAASS: OK, someone in the—yes, sir, in the back. Q: Thank you. Robert Abel, SC Magazine. My question is more so on the cyberspace. What do you see the U.S. doing in the future to help curb both cyberespionage and cyberattacks against U.S. interests from both state-sponsored organizations within Russia and criminal organizations that are based in Russia? DAALDER: That’s a—you know, this is an NSC meeting, right? Are they cleared? (Laughter.) You know, this is—this is one of the new battlefields of the future. And it’s a very complicated battlefield because it is, in one sense, a state-owned, public—it has a public interest, but it’s a privately owned entity. This is the fundamental problem we have with cyber. It’s very different from the normal ways we think about the use of hard military power. That is owned by the state. It is operated by the state. This is not owned and operated by the state. It’s operated by private companies. And it is the private companies that have that—have the data, have the capabilities, that are running the infrastructure that is being attacked, being stolen from. And as a result, our capacity to put together a counter-cyber strategy is extremely—you know, we’ve been trying to do it now for 14, 15, 16, 17 years; when did you start doing it, back in the mid-1990s—is extraordinarily complicated because what you can do is limited by what the government possesses. You need the cooperation of private industry in order to do it. And we had cooperation up to certain points, and we have a little less cooperation these days because of Mr. Snowden and the revelations that came with that. So this is a new—this is our new battlefield. But this is a strategic battlefield that we will have, irrespective of what’s happening in Syria or in Ukraine, in part because of the nongovernmental entities that are involved in in it, and in part because this is a new—this is a great area of competition between us, and the Russians, and the Chinese, and other countries that have that capability. HAASS: And in no way is this limited to a U.S.-Russian problem. HAASS: Coming up with the rules of the road, shall we say, and that we can continue to do some of the things we want to do and discourage some other things is a—it’s not a bilateral problem. It really is a global foreign policy problem. I wanted to make sure some people in the back—yes, sir, in the back, next to law row there. I want to be equal geographically here. HAASS: Do you want to introduce yourself? Q: Hi. (Laughter.) I work for Doug Schoen. You mentioned earlier that Moldova—you know, a Moldovan solution is what the Russians would desire in Ukraine, even if they can’t necessarily, you know, get the Republika Srpska outcome that we would maybe advocate for. Is that something that’s sustainable for them? You know, eastern Ukraine is not Transnistria. It’s not going to be 1,400 peacekeepers and a couple million rubles every year. Could they even sustain that outcome over the long term, both economically, and politically, and militarily? DAALDER: I’ll start, since you asked me the question. And I think the answer is no. And I think we’re seeing already in Crimea what the cost is of trying to sustain that annexation, which we seem to have ignored until the electricity started going off as a result. So, no, it’s not sustainable for them. And it will be the kind of—the same kind of drain, although perhaps not in lives, but economically and politically the same kind of drain that they had when—the last time they deployed their troops outside of their—the borders of the then-former Soviet Union in Afghanistan. And this is not a wise move for Putin, it seems to me, in the long run. He may be—stay there as a president for a long time. But in the end, he is a declining power and we’re stronger. And as long as we maintain our policy, and the consistency of our policy, and remember what our goal is, which is to make sure that Putin does not succeed in destabilizing Ukraine and that we succeed in having Ukraine emerge as a vibrant Western-oriented society, he’s going to lose and we’re going to win. HAASS: The danger with analogies, just to you, I would think of declining powers, if that trajectory is recognized by the declining power in question, they might have a certain incentive to interrupt that trajectory of history. MARTEN: Can I just add something? I’m not sure I agree with Ivo because, again, when I was there in May, the sense I get is that the Ukrainian population is not really focused on eastern Ukraine. The Ukrainian-American and the Ukrainian-Canadian populations are focused on eastern Ukraine. But the Ukrainian-Ukrainian population is much more focused on domestic reforms. They’ve never felt that eastern Ukraine, with its, you know, large both Russian ethnic population but also its relationship with Russian industry, has really been part and parcel of Ukraine that they see as being Ukraine. And so I think that there is a possibility of some kind of negotiated arrangement in the future that might not look exactly like Moldova, but that also wouldn’t look like a completely sovereign Ukraine on the borders that it had before. That could be acceptable, if you could get somebody in Russia who was not against Ukraine becoming a stable country. DAALDER: That’s a big if. HAASS: I’ve got—in about 10 minutes, I’m going to come back to you all—eight minutes—to sort of ask you what—and the basis of this conversation in your thinking about this—you would introduce into U.S. foreign policy, if anything, that is not now—is not now present when it comes to U.S.-Russian relations. What would you—what would you want to change? Q: Michael Oppenheimer at NYU. We’ll have a new president fairly soon. It sounds like most candidates favor a more robust posture in Syria. That may change, obviously, once they take office. But accept that premise for a moment. What do you think that looks like? Can a larger presence be leveraged to achieve a political settlement without trading off Ukraine versus Syria? What’s the risk/reward of that—of a large presence, whatever form it might take, in Syria? HAASS: Why don’t I take that quickly because I don’t think the kind of presence that the United States is contemplating would give it that kind of leverage. I think the bulk of a ground partner can’t come from the United States. If there’s going to be a serious ground partner in Syria, it’s going to have to be local. And I don’t think it’s going to come from neighboring Arab states. I think it’s going to have to be largely Syrian. You’re more likely to get it if the bombing is intensified and if special operations force presence is intensified and people sense that associating themselves with us is a good bet for the future. But I still think the bulk of that is going to have to come locally. And we haven’t talked about it today. I think in terms of the government it’s not just going to be trying to persuade the Russians to rethink their relationship. As difficult as that I actually think it’s more difficult to get the Iranians to rethinking their relationship with the current Syrian government. So I can actually imagine a time when the Russians might be somewhat tempted and the Iranians would say, not so fast. And so I think we’ve got—we’ve got two factors that are supporting this government. But I think there’s a ceiling on what not just the U.S. will do, which is predictive. I think there’s a ceiling on the United States should do, given the nature of the adversary, because again it’s not simply a question of, quote-unquote, defeating ISIS, in the sense that it’s an entity that holds territory. You then got to hold that territory yourself. And that is not something we want to be in the business of doing. I would think that we need a local partner. And at the moment, I don’t—I don’t’ see one. And I think the real challenge to our policy is how do you generate the emergence of such a partner. HAASS: Well, again, I think only up to a certain point. And after a certain point, I actually think it becomes counterproductive. But that’s a serious conversation, which is what type of U.S. policy would make it more likely for such a local partner to emerge? And at what point does it discourage it, or does it actually play into the narrative that ISIS has? And I think that’s one of the basic elements of the debate that we are—that we’re having. HAASS: Want to wait for a microphone, please? Q: Oh, OK. Lucy Komisar. I’m a journalist. HAASS: What is your question? HAASS: No, Lucy, what is your question? Q: Let me give one example. Heidi talked about standard of living going down, hits to pensions, living standards—that’s the United States. You talked about things happening to distract people from the homeland. That’s the United States. HAASS: Lucy, it’s times for questions not for statements. Q: So is what we’re talking about Cold War 2.0, where things are being used to attack the Russians which, when you look at them, are actually problems that the United States also has? HAASS: OK. Enough. We’d like questions please. MARTEN: I have an answer on Cold War 2.0. There are three things that are fundamentally different right now between the Cold War and the current situation. One is that outside of its nuclear weapons, Russia is no longer a superpower, OK? The nuclear weapons are still there, but it doesn’t have alliances all of the world, it doesn’t have this major alliance in Eastern Europe that it used to have. That’s gone. It’s not really an equal power to the United States, and certainly not an equivalent economic power. The second thing is that Russia right now does not have an ideology. And Putin has changed every few months how he looks at the outside world and how he uses a framework to describe it. And nothing seems to have stuck, that there’s no ideology yet at the moment. And the third thing, as we’ve already discussed, is that there’s no Communist Party. There’s no institution that is guaranteeing what happens, that there is some kind of a discussion among elites in some kind of a formal framework, about everything from succession that follows Putin to the question of policymaking. And so I think all of those things make it, in one sense, less dangerous, because there’s not the same kind of adversary that there was before, but in another sense much more dangerous for U.S. interests because the outcome is much less predictable. HAASS: Ivo, I was going to ask you a slightly different version of that, which is you were very tough, as I understood it, on Ukraine, what Russia’s doing. But in your reaction to things—what Russia’s up to in Syria, I think there your arguments, if you will, I don’t know if the world is modulated, but there’s nothing per se that the United States should not get up every morning and necessarily resist what Russia is going in Syria. There, it depends more on what it’s doing, which is qualitatively different than what Russia’s up to in Ukraine. HAASS: Let me take one more question before we get to that. CREBO-REDIKER: Because I think this is—it’s interesting, the question you just asked, because it all depends on your framework. I think that for those who think that dealing with Russia is something that is transactional, that it is—you know, that we see common interests in certain places, not common interests in others, but it is a transactional relationship, then that puts you sort of with one kind of framework about how you engage. And then the second is really taking into consideration whether or not you’re listening to the fact that part of the—part of the thinking behind this government is it’s an anti-U.S. as a unipolar leader of the—of the world, and it’s specifically anti-U.S. in its rhetoric, that a sphere of influence and an ability to control both the rule writing and the common space outside of Russia is part of the ethos of what President Putin actually stands for. Now, if that is your starting point, then that is—then that is front and center. And you can find areas to act together, for example, the way that Ivo was describing, the engagement in Syria. But Ukraine is fundamentally different. It is part of the sphere of influence. There is a world order question around it that I think needs to be front and foremost in everyone’s thinking. So I would look at those two frameworks differently. HAASS: Yeah. I’m going to change that. I’m sorry, we’re going actually going to not have one more questions. I want to go ahead and make sure people on the panel, OK, so we’ve had this conversation for 85 minutes. So what would we—what would introduce into U.S.-Russian relations on the assumption that what is—unless you feel comfortable with either where we are—with both where we are and where we’re heading I would assume you would want some things to change. So what is it—what is it we would like to introduce? And I’ll start with Professor Marten. HAASS: Such as? Where do you see some that are particular ripe? MARTEN: The Arctic. I think that we have some forward motion there, and that’s going to be a common problem. I think the environment is a common problem that’s going to be affecting everybody. You know, I think that there are a variety of creative things looking at space cooperation. You know, there are astronauts and cosmonauts circling above us on the Mir Station as we speak. I think that there are all kinds of ways that in little ways we can keep communication open and say we respect Russia and treat it as a worthy partner in all of these things that are happening, and that they have equal status on these various sorts of things, while making sure that our defenses are up and keeping things strong, and not trusting what happens in the military sphere. HAASS: So implicit then in what you’re saying is—I’d almost say you’re arguing for a policy of non-linkage, that just because we don’t agree on certain things that should not preclude our ability to cooperate on other things. HAASS: So it’s a decentralized or disaggregated relationship you think we ought to pursue? HAASS: OK, Ivo. Just want to understand. DAALDER: So I don’t necessarily disagree with that de-linkage, but I—step back for a second. We’ve just gone through a 25-, 24-year experiment of trying to integrate Russia into Western institutions, the global economy, the security order through the U.N. Security Council, and a variety of other things. That was the promise of the end of the Cold War. And I think it’s clear that that didn’t succeed. We’ll leave it to historians why it didn’t succeed, but it hasn’t succeeded. So we need to have a new policy. It’s not Cold War 2.0, for all the reasons Kimberly laid out. It just very different. But we are dealing with a big power. And it seems to me, that we need to do—a big power, declining and dangerous. We need to do two things. We need to reestablish deterrence. We need to actually think about deterrence in deterrence terms. What is noteworthy is that both in Ukraine and in Syria, deterrence wasn’t part of our thinking, wasn’t part of our policy. We weren’t trying to deter Russia from moving in militarily. The president took military response in Ukraine off the table. I don’t think it should necessarily be on the table, but that’s not the same thing as taking it off the table. So we need to think back on how we reinstitute deterrence, which we were very good at in the ’60s and particularly in the ’70s and the ’80s, and we’re not very good at it today. But the second one, what came with the deterrence, was the willingness to have a dialogue at a very high level to make sure that that relationship wouldn’t spin out of control. I also agree with Kimberly that I think the relationship today between the United States and Russia, between the West and Russia, is perhaps more dangerous than any time since the mid-1960s. In the mid-1960s, we started talking to the Russians. And because we were starting to talk to the Russians at a whole variety of different levels, the chances of an accident were less, although we’re now finding some interesting documents about 1983 and the possibility that the Russians were misinterpreting what we were doing there. Just think what the kinds of situations that we are now in, where Russian aircraft are flying deliberately through Turkish airspace. Don’t say it wasn’t deliberate. Of course they were. Where they are flying without their military transponders on, so that civilian aircraft can’t see them, where they’re buzzing naval vessels. This is all ripe for an accident. And if you don’t talk to each other, if you don’t have the capacity to find ways in which you can communicate with each other, deterrence becomes a spiraling relationship, potentially, that is extremely dangerous. So what I would reintroduce into the equation is an explicit thinking about deterrence. I’m very pleased that the NATO-Russia Council—the NATO folks decided at the ministerial meeting to restart the NATO-Russia Council discussions on the military side. So you have to have the conversations that the U.S. is now doing with Russia when it comes to targeting Syria, not about the de-conflicting of flights in Syria, that you need all over the world, because the one thing we don’t want is this confrontation leading to an all-out war between us and the Russians. CREBO-REDIKER: So what Russia showed us over the past several years is that it uses multifaceted levers of power, whether it’s gas pricing, whether it’s bond markets and the 3 billion bond that was negotiated with the Yanukovych government prior to its fall which has become a very big issue just resolved literally today in terms of how the IMF was going to look at it, trade policy, sanctions. I mean, the whole basket of issues on the economic side that forced a lot of people in the U.S. government that tend to be more siloed—and since this is an NSC format, we do—we do tend to silo our different parts of government. And I think what this called for was a serious stepping up and engagement of the people talking about national security—traditional national security, with economic and other issues, wo thinking more across platforms of leverage of power. But I do think we need to step that up significantly. I think that the establishment of an energy security department at the State Department so that we could start thinking about how we can work on energy security issues was a very smart idea and has been very useful. We should continue to not only ramp that up, but also talk to our partners in other countries about doing something similar, because I think we’re one of the few countries that actually has without our foreign policy establishment a big department focused on energy security. And then the one last thing I would say, and this is, again, from the perspective of the far east, is that don’t forget that Russia is a Pacific, not in a kinder and gentler way, but that it actually just announced it’s going to be building up military capacity in the Kuril Islands, much to the chagrin of Japan, about two days ago. So let’s just not forget because we’re all—we all focus on the Atlantic and the transatlantic that we don’t forget the Pacific. HAASS: And under what circumstances, if any, would you be willing to rethink sanctions policy, or do you think it ought to remain totally based upon what happens in Ukraine? CREBO-REDIKER: I firmly believe that the commitment to not relieve sanctions until Minsk is implemented is something that has been a red line not only for Europe, but the U.S., and that to backtrack on that would be sending a very bad signal. I do think that there are probably other ways to figure out how we think about Minsk, but at the end of the day any rollback of sanctions that is not—that does not check at least, you know, a good chunk of the boxes there—and the last two are pretty substantial, meaning the pull back of heavy armaments and the turning over of the border—I think if you don’t see something akin to that happening, then it’s going to be—it’s going to show that we’re not able to stand by our commitments. DAALDER: So I mean, the—it’s actually a mindset. It is how you think about the use of military—the deployment of military forces, how you talk about military force, about being clear about where your goals are so that if they—if there’s—to clearly communicate: Don’t cross this line. And then when you do cross the line, make sure that there is something you do against it. It is actually less. I actually am perfectly happy, more or less, with what NATO has done in response. I think there’s a very bright red line that the Russians understand that divides NATO territory from non-NATO territory. We now have a NATO flag in every single East European country and a command and control. And we have U.S. troops in every single country in Eastern Europe, which we didn’t have before Ukraine. And frankly, we were able to defend East Berlin with very little troops because of deterrence. We are able to defend the Baltics because of deterrence. It’s understanding that it is about deterrence, rather than the—rather than the particular capability you need to have there. It’s about the communication capability. We kind of lost that because we thought we were in an integrating policy where we were trying to get the Russians to be part of our Western institutions. We didn’t talk in those ways. We need to re-learn how to do that.